I’ve had this tagged for quite a while on my Pinterest page and decided to use them as an activity with my 4yo…. she loved it besides the waiting between stages. 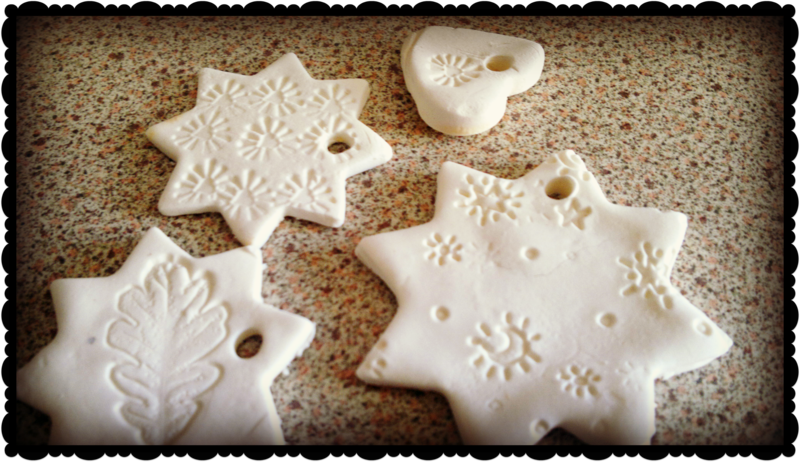 But lesson learnt – if you want them to be perfectly cut out and stamped – don’t allow the 4yo to do it! Some of them cracked a little which is I think due to not kneading them enough and getting all the air out. I also baked the first batch on my ceramic tray which I think made the temperature a little hot so the second batch I lowered to under 100 degrees which seemed to work better. I think the celcius thing threw me a little! I love them, they’re going to look so good with my brown wrapping and twine under the Christmas tree. This year I will be prepared for Christmas, no more last minute running around trying to find presents and wrapping paper and food!! My husband thinks I’m crazy and keeps telling me I’m driving him mad with it… he will thank me later… I hope. I’ve even stocked up on gold coins for the children’s stockings and I’ve got some presents delivered …you started buying yet? 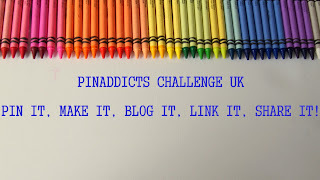 I’m joining up with the Pinaddicts this month so go along and check them out!